Note- 11/17/16- I recently worked on testing this recipe to work out some kinks and it’s better than ever. Some people have had issues with the original and I think this one is much improved. Enjoy the updated pics and recipe!! Spice Cake. Ooh I used to be such a fan of spice cake, (the boxed kind of course.) 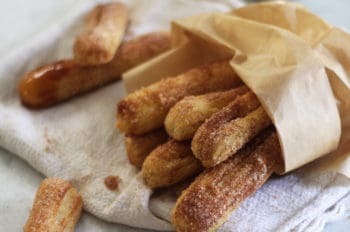 My Mom never made it, but it always seems to make an appearance at school parties and bake sales and I became obsessed. I wasn’t much of a baker yet, and that super sugary-spicy cake seemed like something I’d only get after begging my parents for a quarter to buy a slice. 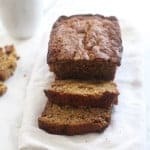 Then, once I actually learned to bake, it was all about carrot cake and pumpkin cake and it seemed like simple old spice cake got thrown to the curb. So, I decided to change that with what will certainly become a new fall favorite. 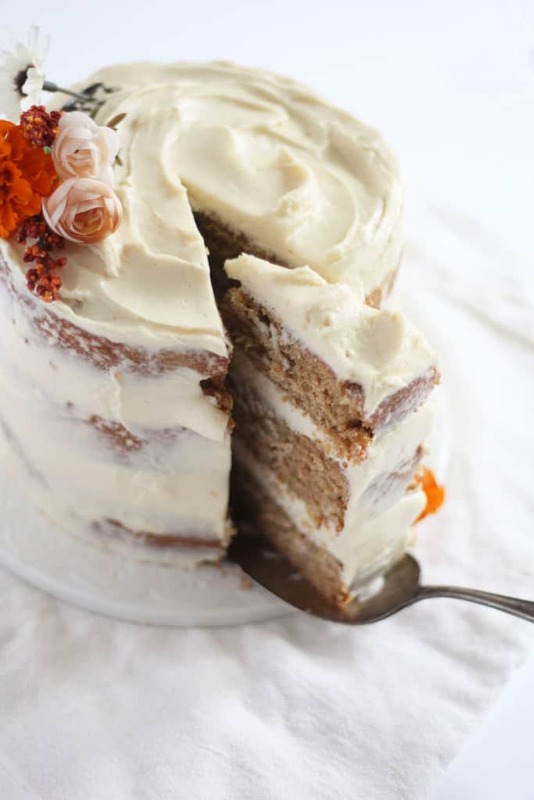 Classic spice cake with the dreamiest frosting on the planet. Yum. This cake is super moist and also a little dense at the same time. It tastes amazing right out of the fridge and it seems like the longer the flavors sit the better the whole thing tastes. (I should know because I’m still whittling away at this 3 days later.) The spices are bold and the creamy frosting is the perfect touch. I may have found a new fall favorite! In a large mixing bowl with an electric mixer, cream the brown sugar and butter. Add the vanilla and then the eggs, one at a time, beating well after each addition. In a separate bowl, whisk together the flour, corn starch, baking powder, spices and salt. Alternately add the flour mixture and the buttermilk to the batter, starting and ending with the flour, mixing well, but not over-mixing. Pour the batter evenly into the prepared pans. Bake until a toothpick inserted into the center comes out clean, about 25-30 minutes. Cool on wire racks and then invert onto parchment paper. *You can either use 2 pans and torte the cakes into 4 layers or just divide the batter equally among 3 pans. Just kidding. I’d drop my face into that any time. This cake looks BEAUTIFUL! 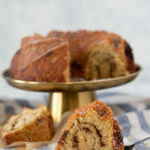 I don’t know if I’ve ever actually tried spice cake, but it sounds perfect for this time of year! Ooh, man, do I love spice cake! This looks amazing and so lovely. Yum! Gorgeous! 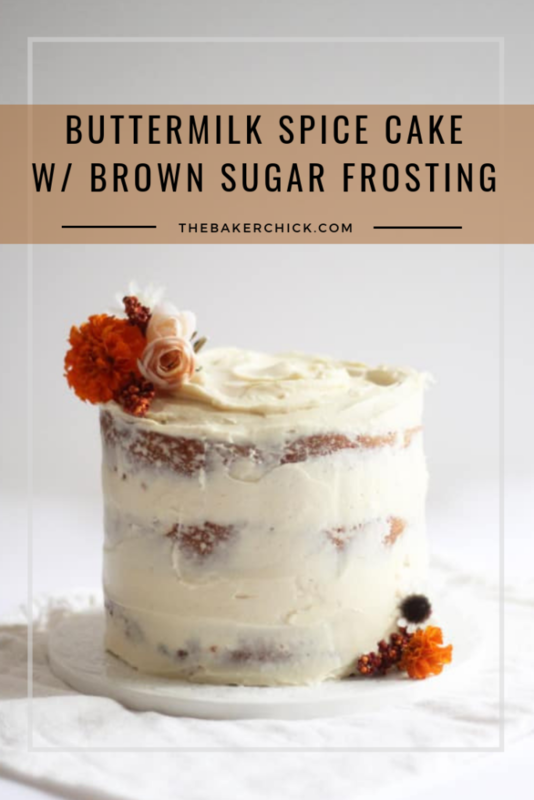 Seeing as I’m a huge fan of carrot cake, ginger cake, pumpkin cake (all the fall cakes), I need to add this baby to my repertoire! This cake is so beautiful! It looks so dreamy and perfect for fall, and I love how simple and gorgeous it is. 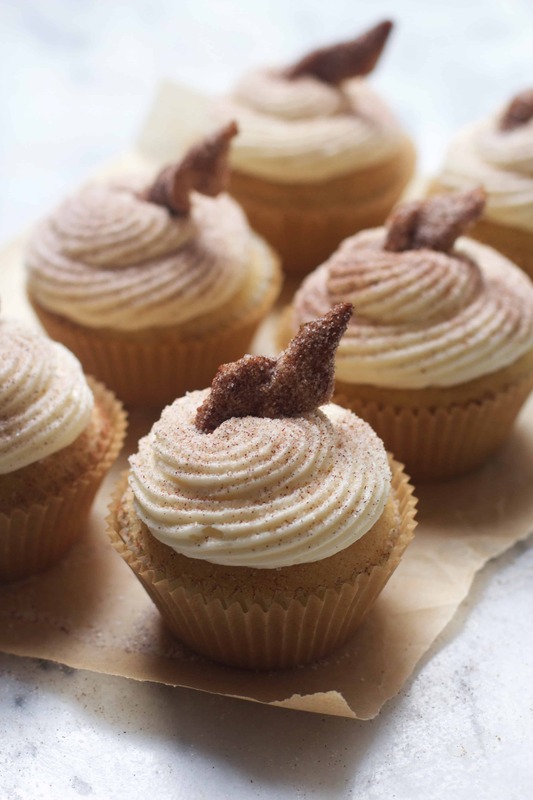 That brown sugar frosting sounds absolutely amazing. Pinned! Love a good spice cake. This one looks great. YUM! 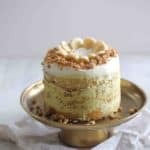 This is my kinda cake, spices – yes! Cream cheese frosting? YES! 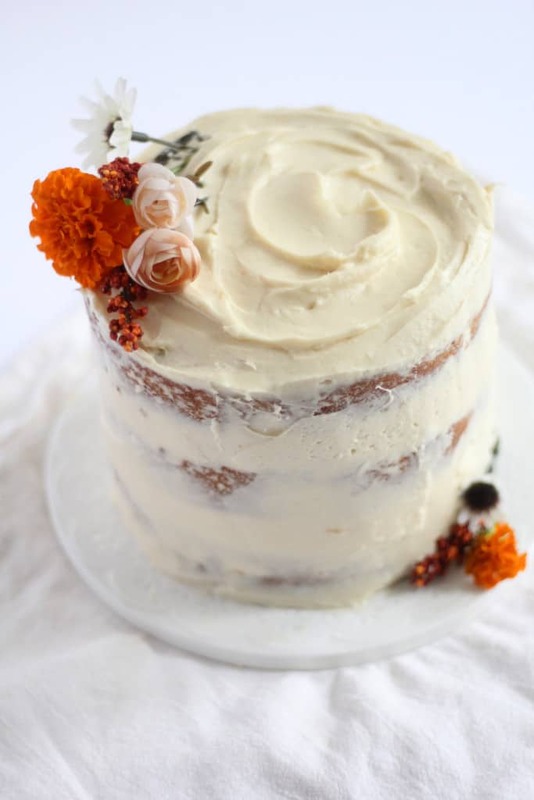 Love love love this cake and love that cake stand and LOOVE the rustic buttercream! 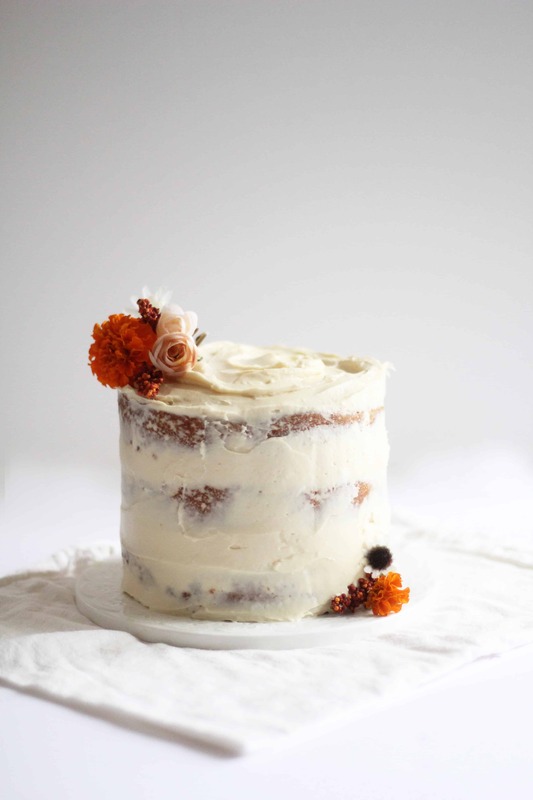 This cake sounds just perfect for fall! And the way you frosted it is making me swoon. Holy smokes, I totally forgot about spice cake. WHYYYYYY??!?! Anyway, now that you reminded me I need to make this now. Nooooooow!!! oh my GARSH that frosting looks so incredibly lovelyyyy! I’m….not sure I’ve ever had spice cake. I KNOW. Crazy. I need to start with a huge slice of this. I feel like it will give a good first impression. This looks insanely wonderful. I have to try it! Yum! 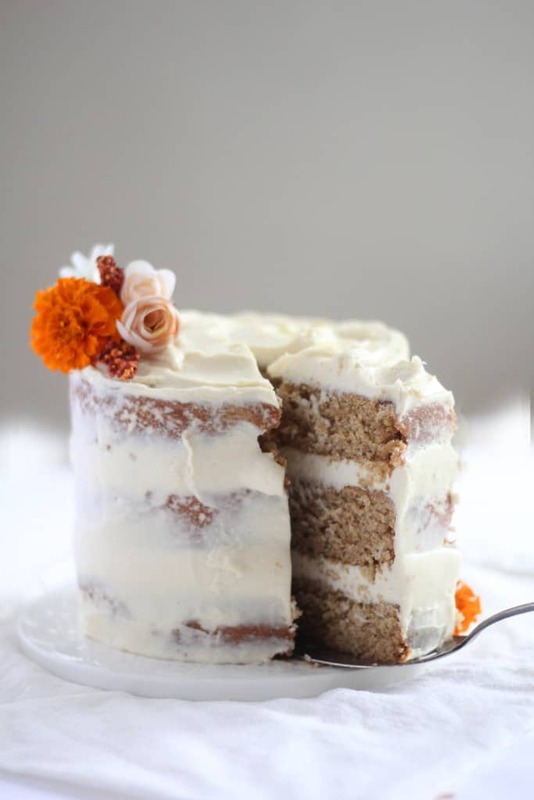 I love the cake…beautiful layers! 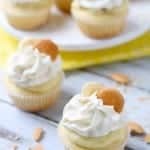 Could this recipe also be used for cupcakes? Would you please tell me what altitude you are baking? I have just returned to a high altitude City, after living at sea level for 50 years. I now have to make adjustments in most of my recipes. It would help me if I knew what altitude this recipe is for. I want to make this cake for my granddaughtersbirthday which is next week. So I would truly appreciate a quick response. Thank you so much! 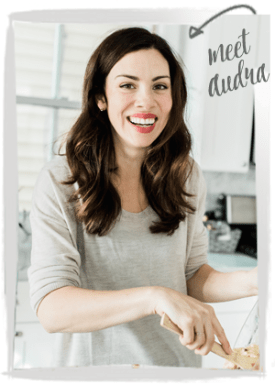 Audra, thank you for your reply. I should have read your blog better and then I would not have had to ask you about your altitude. But your cake looks so amazing that’s all I could concentrate on. I will now be able to make the proper adjustments for my high altitude. Can’t wait to try the cake. This seems so yummy ! All your recipes make me want to cook ! Do you have a good recipe for a carrot cake ? I’m french and it’s not so easy to find one, because it’s not a dessert we do often here. 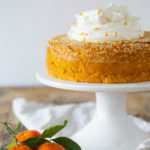 And this week-end, i tasted THE best carrot cake i have ever ate, so fluffy, but the one who cooked it is the “i-don’t-give-my-recipes” kind of person. Pretty please ! 1 stick is 4 oz! Made this cake a couple of days ago and it came out perfectly. It was delicious. The texture was perfect and mine didn’t fall at all. I thought it was a great recipe and easy to make. Thanks! Hmm- so you’re saying it was sunken in the middle? Are you sure your baking powder/soda were fresh? Yes you could try whipping your egg whites and folding them into the batter. That’s actually what the original recipe suggested, but I skipped that step and my cakes were perfectly domed. Let me know how it ends up! I had the same problem Dani. Mine actually didn’t even bake in the middle while the outsides were completely cooked, the batter way much to airy/soupy. I’ve never had this problem before! Anyway, I wanted to make this cake so bad that I started from scratch and ended up separating the eggs the second time around. Added the egg yolks in after creaming the sugar and butter and folded in the whipped egg whites after my batter was complete. Turned out great and was a huge hit! It is not a doneness issue. The cakes were sunk before coming out of the oven. The flour amount on these cakes i a little low. Maybe that is the problem. I made this yesterday for company, it was delicious! I had absolutely no trouble with the cake at all. I will say that I didn’t pay any attention to the baking time though, I just baked it till it was done. I did have to chill the frosting before icing the outsides of the cake, otherwise it was perfect, all four layers. Thank you for sharing it was perfect after our chicken and sausage gumbo. Mine fell, too. Not sure why – haven’t had a cake fall in ages. Uncertain how I want to finish them since I can’t cut each layer in half. Wish I would have seen the idea about the egg whites. Bummed. I’m really sorry. This recipe has me stumped. I am going to tinker with it and test it a few more times. It seems like half the people have the great regular I did and the other half have issues. I will report back once I figure out what’s going on with it! Thanks for the feedback- It sounds like I need to experiment with the recipe a bit! Quick question for ya: is the brown sugar packed or loose? Thanks!! What is the garnish you sprinkled around the cake? I was wondering about the garnish on the frosting too. Is it brown sugar? Sorry for the delay- the garnish is cinnamon and nutmeg! What is the garnish around the edges? Looks like a spice mix?? Hmm how strange! I always use 8 inch pans but mine are quite deep- I have never had this recipe overflow! Yes it could- the butter gets hard when it’s in the fridge but should soften when the cake is room temp! I baked this cake last night and the flavour is amazing but it is really dense. It was left on the counter covered so I’m not sure why. Any ideas? The tempature on your oven could be off. Which causes cakes to fall or not cook all the way. Also cooking the cake in the center of the oven helps. Did you line just the bottom of the cake pans with parchment paper? Hi there! This cake is in my oven now! 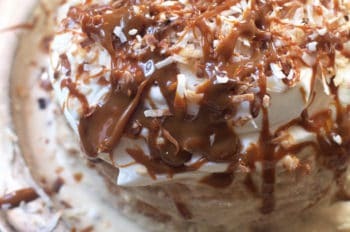 I’m a baking newbie so I have a couple questions I hope you can answer. First, when I “creamed” the butter and sugar for the cake I did not find that they ever really came together to form a cream. They were fully incorporated but never got creamy. Should I have not packed the sugar? How long does it take to cream them usually? Also, when I add the flour and buttermilk alternatively, should that be done with the mixer, or by hand with a baking spatula? Thanks so much for your help – I’m planning to make this again on Friday for my father in law’s birthday, this is my test run!! I just put this cake in the oven after meticulously following instructions. It had overflowed the 8 inch pans after only ten minutes of baking. Hmm that is weird! How full were your cake pans? 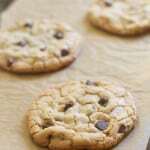 Is it possible you used too much baking sofa/powder? 7 have made this recipe many times and I never had that problem. If the cake pans were 2/3 I’d the way full I don’t see why they would overflow! Just made this… haven’t tasted it yet (except for the frosting!) and I had no problems. It did not sink or spill over my 8″ pans. I over baked it just a touch so I wasn’t able to make it a 4 layer or it would have crumbled but I feel certain it will taste delicious! Thanks for the gorgeous cake recipe! If too much leavening the cake over rises and the structure breaks and cake collapses. Beautiful and sounds amazing! What a great holiday cake! I am sorry! 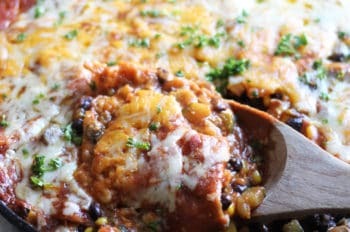 You are right- when I revamped this recipe I changed it to 3 layers and forgot to update the recipe. You can do either- divide into 3 pans if you have, otherwise use 2 8 or 9 inch pans and then slice into 4 layers! I am a baker. I have used this recipe several times…without fail! It is delicious and have clients begging for more. I am at 500 ft. and I have not had my cake spill over in the 8″ pan. Remember, only fill your cake pan half way full. Wonderful recipe! Thank you for sharing. I made this cake for my works Thanksgiving potluck. I had one slice left to take home. Which I end up taking it to a friend who is now requesting I make this cake for Thanksgiving. I had a slight panic when I clicked on the original website and it was deleted. But then I found this page. Whewwww I’m relieved. All this to say, this recipe was amazing. I followed it exactly and it came out perfect. Not one single complaint. Thank you for such an awesome recipe. I made this over Thanksgiving. I made a triple layer and the layers were a bit thin for my liking. I followed the recipe exactly (the most recently updated one), and let me tell you, that is some funky looking batter, I did NOT think it was going to turn out, but it did. As I said, I would have liked them to rise more, but they tasted great and were a hit with the crowd. I might use only two pans next time. Side note: you have baking powder listed in the recipe instructions twice. I used 6 inch pans and my layers were very thick- did you use larger pans? Maybe 2 layers in that cake would be best! Hi! The recipe above calls for 8 inch pans but the photo definitely looks like 6 inch pans. I see your comment here too about 6 inch pans. Can you confirm it uses 6 inch then? I’ve always wanted to make a 6 inch cake – they are so pretty. But I am still rather new at baking and don’t want to have to improvise baking times so I want to use the pan size you used. Thank you! I had the EXACT same issue!! I used the 8 inch pans and my layers were thin. So thin that I ended up making the whole thing again so I would have 6 layers just to make it taller. I’m pretty sure the recipe should say 6 inch not 8 inch. Just making sure before starting this that there is not supposed to be baking soda. Is that correct? I second that request. I made the original recipe as my sister’s wedding cake and it was delicious. I made your updated recipe a few weeks ago and it was very dry and dense. We threw half of it away. I would LOVE to make my sister and her husband their wedding cake again. I would be so grateful if you could please share the original recipe. I’m sorry. I had so many (you can read them above,) negative comments about that first recipe I just couldn’t leave it up. I tested this newer one and I really loved it. It’s hard to please everyone it seems. I do understand. And appreciate your efforts to perfect the recipe! If you could email me the original recipe, I’d be so grateful. Wish I had written it down! Again, I appreciate the recipes you share, lots of hard work involved, I have no doubt. I guess I made the revamped recipe since I just baked this for the first time a few days ago. it came out moist, and delicious and the flavor reminded me of the gingersnaps I bake at Christmas. I must have not divided my pans up equally because one layer needed an extra five minutes of baking time. The layers came out of the pans easily and were nice and flat, no need to tort. This was a big hit on St. Patrick’s Day, thank you Baker Chick! I made this and the frosting was pretty soft, no matter how much additional powdered sugar I added. Is it this way for you? Is it due to the brown sugar? Just curious if it’s just me, or if it should be this way. Cream cheese frosting never gets as firm as buttercream, but I never had a problem with the consistency of this! Hi Leah! Thanks for your feedback. 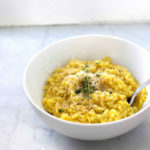 A year ago I edited the recipe and totally revamped it, but I didn’t delete the old comments but probably should have. I think those who were having problems were having it with the OLD recipe. However- I’m guessing I measure my flour heavy handed. I normally scoop and level unless I specify to weigh the flour. You’re right that I should always include the weight as it really helps keep it accurate. I bet your 4 cups measured correctly are similar to a more dense 2.5 cups. oh ugh…wish I had read the comments all the way too the end before. Just realized some might still have had issues after the revamp. I just made them. The first time I thought I lost count measuring the flour as I was doubling the recipe (for a cake and cupcakes). The cakes came out flat, sunken and fell apart. But I still had the doubled batter, so I added flour to it and made cupcakes….they rose perfectly. Made the batter again for the cakes making sure to measure just right…tossed in a bit more flour for safe measure but only a tiny bit….and they are flat and sunken in the middle again. Hubby says they still taste great (I can’t have gluten so I trust him) so I am going to pray I can still decorate them and these don’t crumble as they are for a shower tomorrow. I’m definitely thinking more flour is needed though. But overall seems to be a great recipe. It sure smells amazing in my kitchen! I’ll make it again and probably double the flour amount. I’ve made this a few tines now for various people and get repeat requests! I follow it to a T without any problems. It’s good, moist and so yummy… and just got another request for Thanksgiving. Thank you for this recipe! Hey! You can keep them in the fridge overnight just bring to room temp before serving! This recipe was amazing and super easy to make. I didn’t have any of the problems with it sinking or overflowing like other people have stated. I will definitely be making this again. I chose to halve the recipe, use the “reverse cream method” to mix batter. Put into a true 9 x 5 glass pan. Baked for 55 min exactly at 350 degrees Fahrenheit. Next time I may make cupcakes with halving the recipe. The baking time I was not expecting to take so long. The cake is dense, but moist and full of flavor, similar to a pound cake texture with the way I made it. I am glad I halved the recipe, because there was a lot of batter, in my opinion, Half the recipe would do well to make a nice thick 2 layer eight inch cake rounds or squares. It didnt rise at all. Even in the 9 x 5 pan. Cream flour and softened butter well until looks crumbly. Is this frosting good for piping and decorating the cake? This was FANTASTIC. The cake baked up beautifully, the texture was absolutely perfect. I had to get a little creative with the spices since I didn’t have allspice; I used some Penzey’s Baking blend and some Trader Joe’s pumpkin pie blend in addition to the cinnamon, nutmeg, and ginger. Flavor was still what I was expecting. We also just did a sheet cake instead of layers, so if any of your readers were considering that (since it’s a little less work), rest assured that the results will still be awesome. Thank you so much! This one is going into my regular rotation! I made this cake today according to the recipe. It made two 8 inch round pans, there is no way it would have made a bigger cake! They did not rise too much, either, and I had them in the oven about 45-50 minutes. I only made half the frosting recipe which was just right for that sized cake. I thought it was all delicious! Love that spice combination.